Some bonsai experiences and projects that I hope will be of interest. Welcome to my bonsai blog! Look around! Use the Search box, browse the Archive, and leave comments. Click on any picture to enlarge it. I would be honored to have you follow my posts. There are two ways to do that. -- If you have your own blog, use Join this site to have notifications of my posts sent to your blog's reading list. Fora and vendors that I can recommend from experience are listed in the right sidebar. For more about the ads, and just why I enabled them, please see "About the ads," below. "And the LORD God made ... trees that were pleasing to the eye ..." Gen. 2:9, New International Version. "Bonsai isn't just something I do; it's part of what I am." Remark to my wife and daughter. The Yew: Bonsai for Everyone. 2009 Christmas gift from my wife! Blame my younger sister for my bonsai "addiction:" she sent her confirmed-plant-lover brother a "bonsai kit" one Christmas. ☺ That got me started into what my daughter has called "a hobby you will enjoy for the rest of your life." She's right: I will be doing bonsai for as long as I can hold the tools! For more about my bonsai journey, please see the page "A Bonsai Journey (to date.)" To contact me, email: treebeard20@gmail.com. Turface or not Turface -- an active question. Bonsai Study Group; good place to learn from advanced practitioners. Bonsai Nut; usually very active, lively discussions. 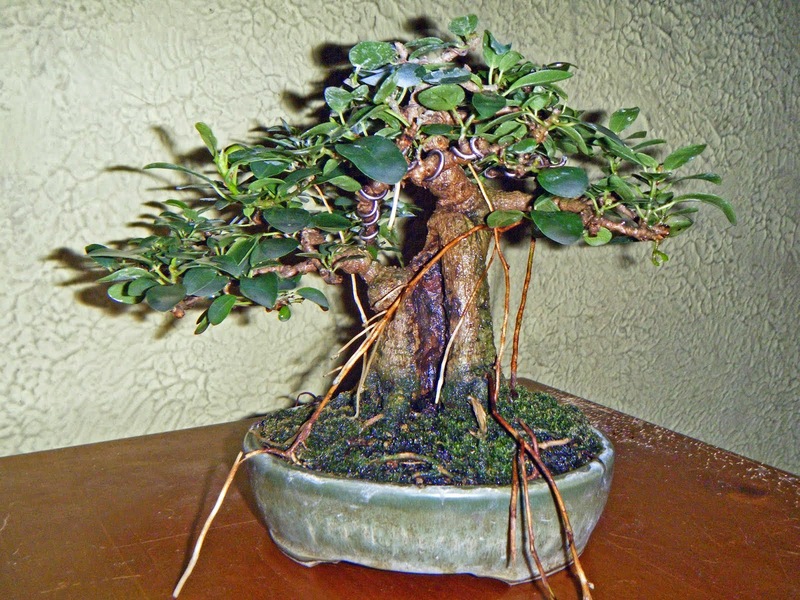 Golden Arrow Bonsai: great native collected trees. International Bonsai Arboretum; great spring sale on bare-root seedlings. Kaede Bonsai En; great fall sale on high quality seedlings. Sara Rayner Pottery; my first choice when a tree is ready for a permanent pot.